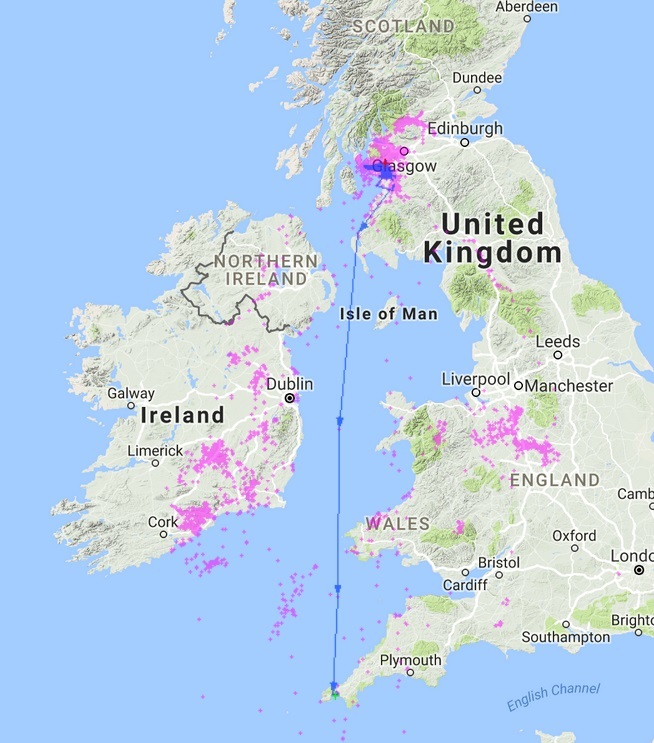 Archie, our last remaining gull, has finally left Kilmarnock and headed south. We noticed on Thursday afternoon that he was down in South Ayrshire near Ballantrae. This left us wondering whether he would make the short flight over to Ireland or whether he would head south. As you can see from the map below Archie was Cornwall bound. 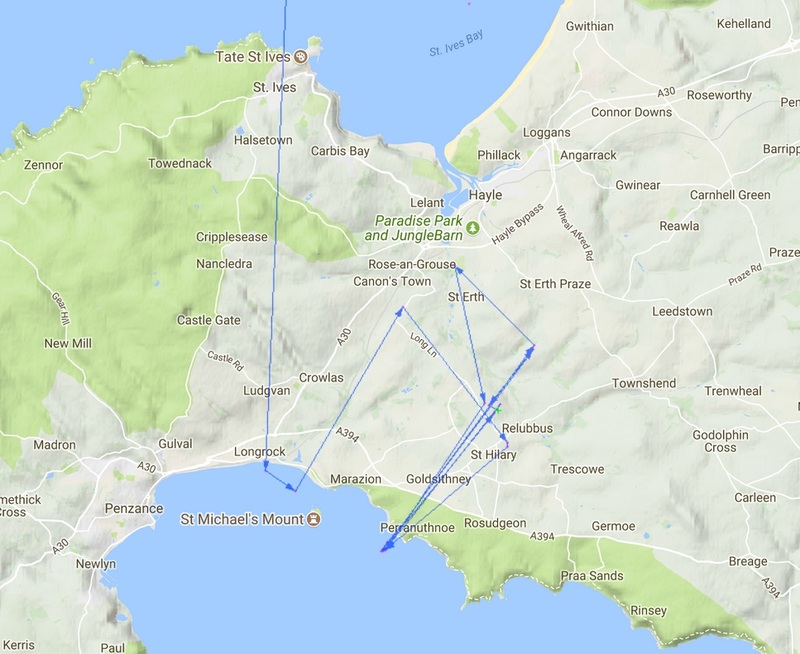 He flew straight down pass Wales into England at St Ives and has spent the last couple of days at the coast near Perranuthnoe. What will his next move be?